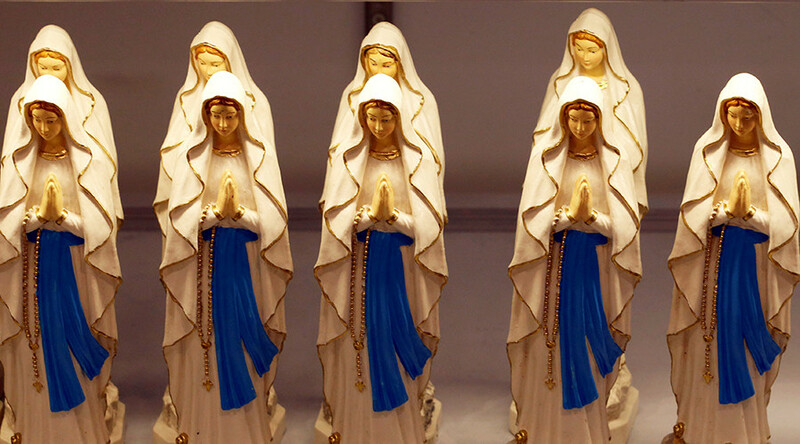 A Spanish woman suddenly became obsessed with religion and had visions of the Virgin Mary as the direct result of an aggressive brain tumor, a report by her medical team has revealed. The 60-year-old woman from Murcia, southern Spain, had religious apparitions over a two-month period before doctors performed an MRI scan, which revealed she had been suffering from brain cancer. As a result of her condition, she began to suffer from hyper-religiosity, causing her to believe she was “seeing, feeling, and conversing with the Virgin Mary,” her medical team said in a report published in the journal Neurocase. "She was not a woman given to exaltation, suggestion, or repeated obsessions, these characteristics were in stark contrast to the fact that in the space of a very short time, she had developed a growing interest in the Bible and other sacred writings and spent the hours of the day reciting endless religious litanies," the team from the Hospital General Universitario Morales Meseguer, said. Linking the bizarre behavioral changes to her illness, the researchers concluded that "it is clear that the religious experience represented a fracture" from her behavior prior to diagnosis. “It was not preceded by a gradual change in her thinking and acting, nor was there any kind of trigger or reason [for the behavior change] except for the disease, and hence, it can be considered a clearly pathological experience,” the report said. The woman was treated with chemotherapy and also prescribed anti-psychotic drugs during a five-week period, over which the apparitions ceased, she passed away from her condition eight months later.